Yes, there are Easter Eggs in the shops, which is good news of a sort. Easter bunnies and bonnets are fun too, if you like that kind of thing. The good news I have in mind is quite different. Easter brings us face to face with the most important events in the Christian faith. Yes, Christmas is a biggie. Then believers celebrate the birth of the Lord Jesus. But why was the Son of God born into our world as one of us? Easter points to the reason. Again and again in his teaching Jesus told his followers that it wasn’t going to end well. He was going to be betrayed, condemned and crucified. His friends couldn’t take it in. If Jesus was the long-promised Deliverer, wasn’t he supposed to overthrow his enemies, rather than be killed by them? But that’s exactly how it turned out. It was meant to. Jesus did come not as a teacher of moral principles, or a spiritual guru, or a political activist. He was a Deliverer. He brought deliverance by laying down his life for his enemies. Christ died for our sins, paying the price for our rebellion against God. At the cross of Jesus we see God’s just demands met and his love for us revealed to the full. As Paul writes in the Bible, “but God shows his love for us in that while we were still sinners, Christ died for us.” Although broken by sin, human beings are not worthless. God values us so much that he sent his Son to die in our place. That’s good news. Jesus’ followers didn’t see it quite like that. They thought all was lost when Jesus died. After all, what good was a dead Deliverer? They were right. Jesus’ friends, however, seem to have forgotten that he did not merely predict his death. He told them that after three days he would rise again. That is why his tomb was empty the first Easter Sunday morning. That is how he was able to appear before his followers and show them he was alive. The resurrection of Jesus demonstrated that he was the Son of God. His death really had paid the price of sin. By faith in him we can be forgiven and be put right with God. Jesus lives. The power of death had been broken. All who belong to Jesus will be raised up and make like him when he returns in glory. On that day everything sad will come untrue. All because of Easter. If that’s not good news, I don’t know what is. You'd think it couldn't happen here. A populist with a shady private life ascending the highest political office in the land. I mean, this was Great Britain, not brash and gaudy America. Certainly not in the staid Victorian/Edwardian era. Never. But it did happen here. David Lloyd George became Prime Minister in 1916 and remained at the top until after the fall of his coalition government in 1922. A statue situated just outside the walls of Caernarfon castle captures David Lloyd George in full oratorical flight. This was his old stamping ground, where the future Prime Minister made his name as a fledgling politician. He championed the great causes of Welsh Nonconformity; temperance, disestablishment, education and land reform. In an era when politics was dominated by the aristocrat scions of Britain's top public schools, Lloyd George was a cottage bred boy, the product of a National School. Even when he became Prime Minister, Lloyd George was driven by an outsider's sense of grievance. I started reading Hattersley's biography when we holidayed in Caernarfon in the May/June 2018 half term break and finished it on the flight home from our main summer holiday in Switzerland in August. Just taken me until now to write up a review. It was somehow fitting to read about the great man as I sat on the beach at Criccieth, the town Lloyd George made his home, or at least, where his wife and children made their home. He spent most of his time in London, even over the Christmas hols. Lloyd George's father died when he was young. His maternal uncle, Richard Lloyd took him under his wing and made every effort to make sure he had a good start in life. Lloyd belonged to the Campbelite sect of Sandemanian Baptists. So much as he aligned himself with any denomination later in life, Lloyd George continued to identify himself with the Baptists. Hattersley records that he went to hear 'Dr. C. H Spurgeon' at the Metropolitan Tabernacle, London. Lloyd George made his reputation as a fiery orator, speaking to packed public meetings on subjects close to the heart of Liberal Nonconformity. He was involved in the 'Tithe Wars', a protest against a loathed tax that made Nonconformist farmers pay their dues to the Church of England. In a public meeting to discuss the tax a clergyman pointed out that people would have to pay Lloyd George his solicitor's fee if they consulted him on legal matters. The politician snapped back that only if they consulted him people had to pay. The 'tithe' forced Chapel-going farmers to pay for the clergyman's sermons even if they did not attend his services. There was more to Lloyd George than campaigns and speeches. He was also a capable administrator. He proved an adroit President of the Board of Trade in Asquith's Liberal government. He was one of the great Chancellors of the Exchequer. Lloyd George introduced many of the social security benefits that we now take for granted including the old age pension, sickness and unemployment benefits. He fought for reform of the House of Lords, which led to the introduction of Life Peers. He brought swathes of reforming energy to his ministerial tasks. When the Great War broke out Lloyd George was appointed as Minister of Munitions. It was his belief that the war was being lost for want of artillery shells. He brought in men with experience of private business to help run the department. By the time his ministry ended the department was producing as many shells in a month as had previously been manufactured in a year. The ready supply of ordinance enabled the creeping artillery barrages that helped win the war. That, in essence was the problem with Lloyd George. His elevated sense of self made him think that everything was about him. The inward curve of self-love twisted his life out of shape. His long suffering wife had to put up with his long term absences from the family home and a string of adulterous affairs, all discretely covered up by a deferential media. He could be manipulative and devious in relation to his political allies. In relation to his opponents he was often merciless in misrepresenting them in order to score points and win his argument. Yet Lloyd George was also driven of a sense of crusading righteousness. He was an outspoken opponent of the Boer War, which he saw as a bullying campaign on the part of the British against a small nation. In a speech he claimed that when he stood before God on the day of judgement, the Almighty would let him in to heaven because he was 'for the Boer'. Evidently he had listened none too carefully to C. H. Spurgeon, who would have told the statesman to repent from his sin and trust in Jesus for salvation. Hattersley tells the story well and is not afraid to criticise Lloyd George's conduct when censure is called for. As is often the case, great men have great faults. One wonders how Lloyd George would cope with being PM today. His private life would be all over the Tabloids for a start. He'd give Boris Johnson a run for his money on that front. But unlike the Tory wannabe, the Welsh Wizard was a master politician and mighty orator. If a pro-Breix PM, he'd no doubt run rings around the EUrocrats and just about everybody else to get us out of Europe on good terms. 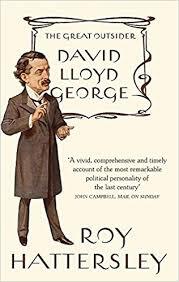 Lloyd George's instincts were those of a socially conservative Chapel Boy (not always carried through into his private life), wedded to the Liberal values of free trade and social justice. Maybe he would be the man to lead the Social Democratic Party out of the wilderness and into power, who knows? The Great Outsider reminds us of what great political leadership can accomplish. But Lloyd George's statues in Caernarfon on and Parliament Square should have feet of clay to remind us that the man immortalised in bronze was possessed of the kind of destructive drives that ruin lives and bring the most high flying of political careers crashing to the dust. He was a great man and a great sinner. Would that he had heeded Spurgeon as the preacher pointed him to a great Saviour. The Affinity Theological Studies Conference is unique among a plethora of events in the Evangelical and Reformed world. Most other conferences revolve around addresses, lectures or preaching. They contain very little conferring, apart from an occasional discussion panel. Even there, any conferring usually takes place among the speakers, not conference delegates. This one's different. The papers are circulated beforehand with a view to having them discussed in the conference. First in small groups and then in plenary sessions. The papers will be published in due course, so I'm not going to attempt to summarise their contents. An outline can be seen here. Titles and authors listed below. Rather than delivering the papers, the authors simply introduce them before delegates head off to chew the fat. I chaired our group and tried to ensure that our discussions had a practical bent. What would we do differently in response to the material in the papers? As it happens, members of our group were of one mind on most things, but there are always differences of nuance and emphasis to tease out. Discussion times flowed well, but never became especially heated. For me, I won't be implementing massive changes in my approach to leading worship. But I hope reading and discussing the papers will make me a a bit more thoughtful about the way I do things in future. It's a fair point that while preachers spend hours preparing to preach, little thought can go into the main prayer of a Sunday service. We can easily get stuck in a rut and become samey and boring. Keeping fresh takes effort. I'm not convinced that we should be using read prayers, though. The Spirit gifts pastors and teachers to lead worship and well as preach. But progress in gifting is both possible and necessary. When it comes to preaching, Bob Letham commended Augustine's dictum that preaching should, 'make clear, delight and pursuade' (Paper 3). That too takes work. So-called 'worship wars' seem to have died down of late. Congregations aren't splitting over styles of worship. Differences have now become settled, with some churches adopting a progressive approach and others maintaining a traditional stance. There are biblical principles at stake here and Paper 2 in particular took us back to the New Testament's teaching on 'gathered worship'. Yes, there is such a thing, insisted David Kirk, alongside 'whole of life worship'. Sometimes differences over worship styles can be down to cultural perspectives. Most in our group seemed to agree that we need to be contemporary, while at the same time consciously part of a worshipping tradition that goes back over 2,000 years. Before that even, if you include psalm singing (which we should!) and Old Testament worship (Paper 1). Papers 5 & 6 wrestled with managing change and what it means to be 'conteporary'. That religion which God requires, and will accept, does not consist in weak, dull, and lifeless wouldings [i.e. wishes to act] raising us but a little above a state of indifference. God in his word, greatly insists upon it that we be in good earnest, fervent in spirit and our hearts be vigorously engaged in religion. Prayer, singing, Scripture reading, preaching, Baptism and the Lord's Supper should be a means by which the hearts of worshippers are moved to worship. The affections raised should be appropriate to the truth proclaimed, ranging from godly sorrow over sin to joy inexpressible in the Lord. The truth bit needs underlining in our sentimental age. We look not for emotional outbursts, but a heartfelt response to God's Word. Edwards posited that the development of godly Christian character is the acid test of whether affections are truly of the Spirit. Emotional spasms won't produce the fruit of the Spirit. Only the word of truth and power of God can do that. Speaking of the Spirit, some papers gave attention to the way in which the Holy Spirit is especially present with the church gathered in worship. That gave rise to discussion on how that can be, given a) the Spirit is omnipresent and b) he dwells within each individual believer. We considered texts such as Ephesians 2:19-22, which speaks of the gathered church (note 'built together') as a 'dwelling place of God in the Spirit' and, of course the favourite verse of small churches, Matthew 18:20. In his introductory remarks to his paper Stephen Clark helpfully reminded us that while the Spirit is with the people of God when gathered and scattered, he may be more powerfully present at some times than others. The Spirit is not a force, but a sovereign person of the Trinity. His influences and effects therefore vary, both in relation to the individual believer and gathered churches. Our God seems to take special delight in drawing near to his gathered people, Psalm 87:1-3. The Master... did not will in outward discipline and ceremonies to prescribe in detail what we ought to do (because he foresaw that this depended upon the state of the times, and he did not deem one form suitable for all ages)... Because he has taught nothing specifically, and because these things are not necessary to salvation, and for the upbuilding of the church ought to be variously accommodated to the customs of each nation and age, it will be fitting (as the advantage of the church will require) to change and abrogate traditional practises and to establish new ones. Indeed, I admit that we ought not to charge into innovation rashly, suddenly, for insufficient cause. But love will best judge of what may hurt or edify; and if we let love be our guide, all will be safe. (Cited in Paper 5). In an article in the Church Times, Angela Tilbury issued a wake-up call to the Church of England. Apparently, 'Momentum' is infiltrating Anglicanism. Not that kind of 'Momentum'. She wasn't worried that the good old CofE was going to be taken over by an influx of Marxtist-Lenninists, brandishing the Morning Star and singing 'Oh, Jeremy Corbyn', rather than 'All Things Bright and Beautiful'. Maybe she wouldn't have minded that too much. No, the worrying thing is that people who actually believe the Bible and possibly even a good chunk of the 39 Articles of Religion are in danger of imposing themselves upon the Church of England. Whatever next? As Tilbury says, "It just seems wrong to insist that only those who claim to have a personal relationship with Jesus are real Christians, and that their priority should be about converting others." Crazy, like. You wouldn't find the great theologians of the Church spouting such nonsense; Athanasius, Augustine, and such. Let alone John Calvin and the Reformer Bishops of the Church of England; Latimer and Ridley. Pesky Evangelicals. It may even be that, "what was once a well-tolerated but distinctive ideology of faith has become the accepted norm." It was no doubt very kind of non-Evangelicals to be so tolerant towards people who preach the gospel, but heaven forfend that their 'ideology' should become the norm. Evangelicals should know their place and content themselves with being a 'wing' of the Church alongside the other wings, rather than trying to take the place over. It's not as if the other 'wings' would ever try and do that. The thought of an Evangelical 'Momentum' sweeping through the CofE, making it do evangelism and stuff, is giving Angela Tilbury an anxiety attack. Her response illustrates rather perfectly the problem that faces Evangelical Anglicans. They must stay in their Evangelical box, keep paying into the coffers and stop trying to remake the Church in their own image. But can Evangelicals content themselves with being a well tolerated 'wing' of a Church that has more 'wings' than KFC has of the chicken variety? The Liberal 'wing', Anglo-Catholic, Nondescript Mainstream, LGBT+ inclusive, and so on. The thing that puts the Evangel into Evangelicals is the gospel of salvation by faith alone, through grace alone in Christ alone, to the glory of God alone. The preaching of this message is what constitutes the church as "a congregation of faithful men, in the which the pure Word of God is preached, and the Sacraments be duly ministered according to Christ's ordinance" (Article XIX). Those who do not preach this message and sit under its proclamation are not the church in any meaningful sense of the word. Evangelicals who remain in theologically mixed denominations must therefore either work to reform them, or leave. Angela Tilbury laments, "Nowhere in today’s report is there any theological reflection on the nature of the current church decline." But any theological reflection must begin with God, take his self-revelation in Holy Scripture seriously and deal with the questions, 'What is a Christian?' and 'What is the Church?'. Michael Sadgrove Tweeted an appreciation of Tilbury's article in which he said, '@churchofengland⁩ is not a network of gathered evangelising churches.' But that's exactly the problem. The church of the New Testament was a network of gathered evangelising churches. Read Acts. Tilbury casts the aspersion that Evangelicals are only interested in 'saving souls', and have little time for social justice. Who does she think led the campaign to abolish slavery, or agitated for better working conditions for ordinary men and women? The tradition of William Wilberforce and Lord Shaftesbury lives on among contemporary Evangelicals who work in disadvantaged communities. They run debt counselling services, organise food banks, serve as school governors, and help in countless other ways. That said, Evangelicals might have something to learn from the Tilbury's piece. At least in her perception they are theological lightweights and ecclesiological pragmatists. They talk in business-speak, “envision, equip, and enable . . .”. This is unfortunate. Evangelical Anglicanism has produced some very fine theologians such as J. I Packer and John Stott. Packer and Stott sought to root Evangelicalism in the great theological tradition of Puritanism, the Reformers and the Church Fathers. Alpha Course Evangelicals would do well to return to the 'Old Paths' to add theological weight to the movement. Yet even here, Packer and Stott were more comfortable than they should have been with Evangelicalism being regarded as a 'well-tolerated ideology' within the broader Anglican set-up. Are we content, as evangelicals, to go on being nothing but an evangelical wing, making our protests, exerting our influence, hoping that we can gradually infiltrate so that others may come to see the wrongness of their ideas and the correctness of ours? Are we content to go on doing that? (Knowing the Times, D. M. Lloyd-Jones, Banner of Truth Trust, 1989, p. 251). Martyn Lloyd-Jones issued that challenge in 1966 in his address under the auspices of the Evangelical Alliance, Evangelical Unity: An Appeal. What the preacher said still resonates today. If the gospel defines what it means to be a Christian and what it means to be the church, the church must be evangelical, or it is no church at all. On that basis, we cannot be content with being an 'evangelical wing'. Why remain in alliance with people who deny that being a Christian means having a personal relationship with Jesus? Angela Tilbury clearly believes that Evangelicals are the problem in the CofE. This depite the fact that Evangelical churches tend to be the ones that are growing in a context of general decline. She in effect says to them (echoing the words of king Ahab to the prophet Elijah), "Is it you, troubler of Israel?" To which Elijah famously replied, "I have not troubled Israel, but you...because you have abandoned the commandments of the Lord." (1 Kings 18:17-18). Quite. Lloyd-Jones called upon Evangelicals to come together to bear united witness to the gospel. It is clear that their presence in the CofE is not welcome by Angela Tilbury and other leading figures in the CofE. To them you are little better than what 'Momentum' ideological extremists are to the Labour Party. Why stay where you are not welcome? Come out and come together with all who proclaim the gospel of Jesus. My mum has seen the musical version of Les Miserables twice. It’s one of the longest running productions on the West End. Apparently, the show has been seen by 70 million people in 52 countries and 22 languages around the world. I saw the film of the musical when it came out a few years ago. But it was only in watching the BBC’s recently screened Les Miserables that the power of the story really came home to me. If you missed it, you can probably still catch it on BBC iPlayer. It is a brilliantly acted, magnificently staged and thought provoking drama. One of the most emotionally powerful things I've seen on TV for a while. The story follows the twists and turns in the life of Jean Valjean, a convict who became a respectable businessman. The prison chief, Javert did not believe that it was possible for Valjean to come good. Once a criminal, always a criminal. He vows to hunt Valjean down when he is released from jail. Javert stands for justice without mercy, justice with no hope of forgiveness. As a former convict, Valjean could find nowhere to lay his head until a kindly bishop gave a bed for the night. True to form, Valjean stole the bishop’s silverware and headed off into the night. The police hunted him down and were about to force the thief return what he had taken from the bishop. Then something unexpected happened. The police wanted Valjean to face justice. Back to the prison hulks. But the bishop did more than show mercy, forgive the thief and let him off. He gave Valjean two silver candlesticks, explaining to the police that he must have forgotten them when he left in the night. That was a true moment of grace. Graham Harrison was systematic theology lecturer when I attended London Seminary, (1988-90). He used to say, "Justice is God giving us what we deserve. Mercy is God not giving us what we deserve. Grace is God giving us what we do not deserve." How amazing is grace! Such grace is a rare thing in today’s world. Look at what happened after Liam Neeson confessed to revenge fantasies the other week. Yes, what he thought about doing was wrong. He said as much himself. But many were quick to pounce on his remarks and label the actor as an unforgivable racist. Social media has turned us into merciless little Javerts for whom there is no conception of grace and no hope of redemption for those who have done wrong. With grace there is always hope, for grace gives us what we don’t deserve. 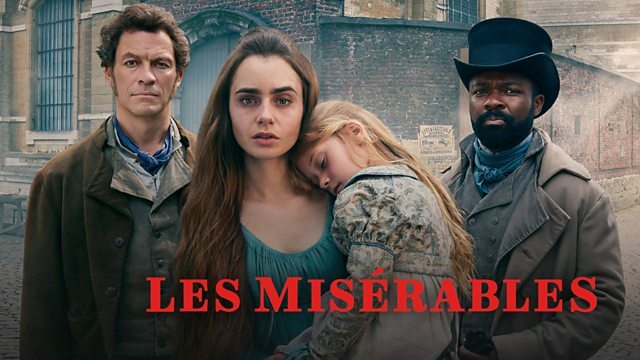 Valjean certainly didn’t deserve a second chance. He knew it, and the grace shown him by the bishop turned his life around. That’s the joy of Les Miserables. The Christian faith is all about grace. God sent Jesus to satisfy the demands of justice by dying for our sins upon the cross. In his mercy, God offers us forgiveness for the wrong things we have done. Grace goes beyond even that. Those who believe in Jesus are welcomed into God’s family and given the hope of eternal life. In the BBC drama, when Valjean lay dying, his eyes were fixed on the silver candlesticks given him by the bishop. Grace enabled him to die in peace. "Amazing grace, how sweet the sound, that saved a wretch like me". For my next trick, I, a convinced Baptist will review a book on covenant theology. Maybe that seems a bit like a strict teetotaler venturing a view on the finest vintage port, when never a drop has touched their lips. Or a Vegan discussing the best cuts of beef, when all they know is nut roasts and cabbage. Covenant theology and Baptists? Er, no. Well, it's a yes, actually. Covenant theology isn't the preserve of Presbyterians and other paedobaptist types. Baptists get a look in too. After all, we believe the Bible and there's a lot of covenanty stuff in there. The thing is, what's the nature of the various biblical covenants, and how do they relate to each other? For starters, did the relationship between God and Adam take the form of a covenant, and if so, what kind of covenant was it? Important, this one. What we make of the Adamic administration will help to shape our view of subsequent covenant dispensations. Venema argues convincingly that the arrangement between God and Adam in the Eden took the form of a covenant. That applies, even though the word berith isn't used in Genesis 1-3, or elsewhere in Scripture to describe the arrangement, with the possible exception of Hosea 6:7. Venema cautions against word/matter fallacy insisting, De vocabulo dubitetur, so salva ("the word may be in doubt, but the matter is certain"), p. 422. In other words, if it walks like a duck, swims like a duck and quacks like a duck, it's not exactly a pigeon, is it? The essential elements of a covenant being present, Reformed theologians have variously labelled the relationship that obtained between God and Adam as a "covenant of works/nature/life". If Adam had obeyed the terms of the covenant, his reward from God would have been eternal life and blessedness for himself and all humanity in him. The penalty for breaking the covenant was death for Adam and all humanity. Scholars following the lead of Meredith Kline hold that the "covenant of works" was established on the basis of strict merit. Adam's obedience would have earned him and all men in him eternal life in fellowship with God. Venema begs to differ. The promised blessings far exceed Adam's just deserts. Perfect obedience was simply God's due and in itself merited no reward. The Westminster Confession of Faith speaks of "some voluntary condescension on God's part" by which the Creator covenanted to reward Adam's obedience. If there is merit here, it is "covenanted merit", not strict merit. A nifty Tabular Comparison of the Westminster Confession of Faith (WCF) and the Second London Baptist Confession (SLBC) shows that Baptists followed the Presbyterians in regarding the arrangement between God and Adam in covenantal terms. See Chapter VII. The wording of point 1 of this chapter is virtually the same in both confessions. For some reason the Baptists dropped the clarifying statement in WCF VII.2. Not sure why. Would anyone notice if I popped it back in? Greg Nichols has a helpful treatment of the Adamic Covenant in Appendix 2 of his Covenant Theology: A Reformed and Baptistic Perspective on God's Covenants (Solid Ground Christian Books, 2014, p. 321-358). He agrees with Venema that while the "covenant of works" demanded perfect obedience from Adam, it operated on the basis of God's undeserved favour, not strict merit in terms of the immeasurable reward offered. Adam failed to win the blessings of life eternal for humanity under the "covenant of works". But all was not lost. Both the WCF and SLBC state that, the Lord was pleased to make a "covenant of grace, wherein he freely offereth unto sinners life and salvation by Jesus Christ" (WCF VII. 3 SLBC VII. 2). Christ is the covenant head of God's new humanity, as Adam was the covenant head of sin-ruined humanity. According to Reformed expositors, this covenantal understanding of Adam and Christ is borne out by Romans 5:12-21 and 1 Corinthians 15:20-22, 42-49. From Adam to Moses. A dispute has arisen in the Reformed world as to whether the Mosaic covenant was a republication of the "covenant of works". Kline and those who follow his line insist that the Sinaiatic dispensation promised blessing in return for strict obedience. Although Venema makes no reference to him here, the Puritan John Owen also advocated the republication view, which proved influential among early Particular Baptists. Given the emphasis on law in the Mosaic covenant and the link between blessing and obedience/curse and disobedience in Leviticus and Deuteronomy, the Owen/Kline view seems to have something going for it. Leviticus 18:5 seems to bear this out. Venema gives a fair summary of the views of Reformed theologians who argue that the Moasic covenant was in some sense a republication of the covenant of works. He then proceeds to pick that position apart. In terms of Reformed Orthodoxy, the WCF sets the Mosaic economy in the context of the covenant of grace (VII.5). The SLBC omits this helpful material. Shame, that, as it serves to emphasise the overarching unity of the covenant of grace under its different administrations. Be that as it may, the decider on this issue isn't confessional statements, but Scripture. Thus the Mosaic covenant did not promote legalism. It did not teach sinners get right with God by the works of the law. It was not a republication of the pre-fall covenant of works. It called Israel as a society to gospel obedience. God built the Mosaic covenant on the foundation of the need for regeneration and justification by faith. (Covenant Theology, p. 232). 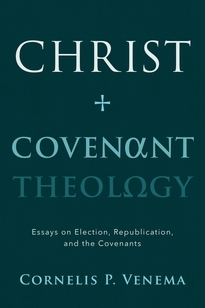 Things get a bit more controversial from a Baptist point of view in the chapters that follow on covenant and election. The sticking point is whether the children of believers are included among God's people under the new covenant as they were under the old. Venema, upholding the WCF tradition says, 'yes', me, a 1689er says, 'no'. But there are points of agreement too. The covenant of grace is the historical outworking of the covenant of redemption between the persons of the Trinity in eternity. There is therefore a relationship between election and the covenant of grace. Agreed. With this thought in mind Venema deals sensitively with the issue of Election and the Salvation of Children of Believers Who Die in Infancy (Chapter 6). Baptists do not regard their children as members of the covenant people of God until they profess faith in Christ, but with the WCF the SLBC holds, "Elect infants dying in infancy are regenerated and saved by Christ through the Spirit" (X.3 - both confessions). Now to points of disagreement from a Baptist perspective. Under the old covenant not every member of the people of Israel was personally elected to salvation through faith in the promises. Paul makes that clear in Romans 9:6-18. The circle of the covenant community was wider than the circle of the elect. In fact, among the circumcised descendants of Abraham there was only a "remnant chosen by grace" (Romans 11:6). Membership by natural descent was precisely the weakness of the old covenant, which made it ripe for abolition, Jeremiah 31:31-34. Under the new covenant belonging is not based on birth, but belief in Christ, Galatians 3:26-29. That is why the sign and seal of the new covenant is not circumcision, but baptism on profession of faith. One of the ways in which the new covenant is superior to the old is that the godly are no longer a remnant within a largely apostate covenant community, as was often the case with Israel. The church is a gathering of visible saints, more closely corresponding to the elect than was the case under the old covenant. Paedobaptism undermines this, sometimes muddying the waters quite badly. (No baptismal pun interned). Acts 2:38-39 isn't the clincher for Paedobaptism that Venema claims. The children of Peter's hearers "and all who are far off" would only receive forgiveness of sin and the promised Holy Spirit on repentance from sin and faith in Christ, sealed by baptism. Unless Venema is willing to allow that "all who are far off" are eligible for baptism before they come to faith in Christ, as well as the children of believers. No? Well, then. That said, Paedobaptism notwithstanding, the WCF exhibits a much richer understanding of Baptism and the Lord's Supper as signs and seals of the covenant of grace than the SLBC (compare WFC XXVII with SLBC XXVIII - scroll down the Tabular thing a bit). In Baptist circles baptism can be reduced to a rather damp way of publicly professing one's faith, rather than a means of grace. Next up Venema devotes three chapters to discussing Federal Vision teaching, which involves a pile of wrongheaded ideas that have been influential in American Reformed Presbyterian circles. FV holds that every church member and their children must be assumed to be elect, even though some may fall away. Infant baptism is regenerative, although again, some who were baptised as infants may turn away from the faith. Justification is merely forgiveness, with no imputation of Christ's righteousness. The works believers perform as an outworking of their faith have a role in their final justification. Venema refutes these notions with his customary thoroughness. I couldn't help thinking that freaky FV notions wouldn't have developed within a framework of Reformed Baptist theology. For me reading these chapters was a bit like eavesdropping on two people arguing. One you think is a bit wrong (Venema in his Presbyterianism), but the other you reckon is totally off the scale (the FVs). I wish less attention had been given to FV nonsense and more to the subject of the final chapter, Covenant and Justification in N. T. Wright's Interpretation of Romans 5:12-21. Wright's views certainly have more of a global reach than the rather domestic FV controversy. Here is Venema at his best. He states Wright's position with fairness and clarity, and then shows how his understanding falls short both in terms of exegesis and theological reasoning. Wright claims that his biblical studies approach to Romans 5:12-21 avoids importing later theological concerns into his reading of the text. But systematic theology has something to offer when it comes to setting individual passages of Scripture in the context of the whole counsel of God, and showing how various biblical doctrines fit together as an interconnected whole. As in Adam all stand condemned, so all who are in Christ are constituted righteous, justified by faith alone. The broken symmetry of the Adam/Christ relationship in Romans 5:12-21 is best understood in covenantal and forensic terms. Wright's focus on identifying who belongs to the people of God doesn't quite cut it. Christ is the Alpha and Omega, the origin and end of God's loving and gracious purpose to dwell in everlasting communion with his covenant people...All the ways of God find their beginning and fulfillment in and through the work of Christ, and this is most powerfully testified through the history of the covenants. (p. 434). * A boiled down version of this review will be published in the Banner of Truth Magazine at some point. Like many people, at least in the UK, I first came across Jordan Peterson when his interview with Channel 4's Cathy Newman went viral. See here if you've been living on another planet of late and haven't yet seen it. I was impressed with Peterson's ability to hold to his own under sustained onslaught from Newman with her liberal bias against conservative views. He refused to be misrepresented when she repeatedly took his arguments to their illogical conclusion. At one point Newman was lost for words. Jordan Peterson is a clinical psychologist and a professor of psychology at the University of Toronto, Canada. He rose to public prominence when he refused to comply with his University's policy of enforcing staff and students to refer to transgender people by their chosen pronouns. He regarded the guidance as intellectually dishonest and a violation of free speech. Angry protests followed. 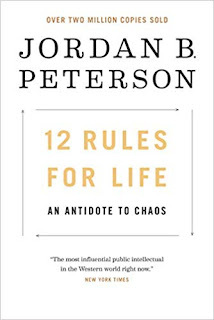 Peterson's 12 Rules for Life has sold over two million copies. His lecture tours have attracted huge crowds across the world. Young men especially have fastened onto his message of personal responsibility. The professor often appeals to the Christian faith when articulating his views, drawing upon biblical stories to illustrate his points. I was intrigued and wanted to find out more; following him on Twitter (@jordanbpeterson) and watching interviews and talks online. 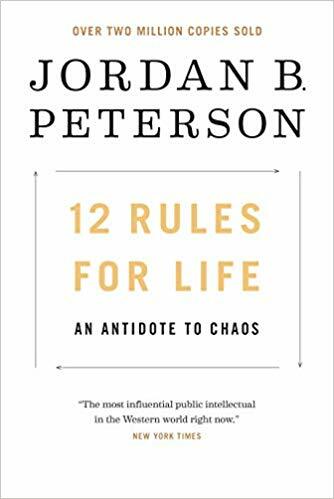 When Audible offered me a free download as a trial offer, I chose 12 Rules for Life. Audiobooks aren't really my thing. I'm a pretty fast reader, so having a book read to me seemed like a ponderously slow process. When reading a book I feel like I'm working, but sitting and listening I'm tempted to start doing other things rather than concentrating on what I'm hearing. Anyway, in fits and starts stretching out over several months I finally made it to the end. Others have offered reviews in which they work their way systematically through each of the '12 Rules'*. I'm not going to do that. In case you're wondering what they are, you'll find them listed at the bottom of this post. What I propose to do is reflect on some of the big themes Peterson touches upon in his book and subject them to theological analysis. You see, although the writer is happy to mine the Bible for parables and principles, he gets a bit cagey when pressed on his own personal faith position. Peterson recommends we live as though God existed because the Nietzschean alternative is too awful to contemplate. For the Christian God is not a hypothesis invented to make life bearable. He is the one who makes life both possible and meaningful. Many people on nodding acquaintance with the Bible say they find the God disclosed in the pages of the New Testament more appealing than the one revealed in the Old. The ancient heresy of Marcion persists. Yahweh is a jealous God of wrath and rage. How different is the God and Father of our Lord Jesus Christ. But there is only one God according to Christian belief. Both covenants testify to his mercy and justice. The supreme demonstration of which divine attributes is seen in the love-placarding, sin-bearing, wrath-averting death of Christ at Calvary. Unusually, in a kind of reverse Marcionism, Peterson prefers the God of Moses to the God of Jesus. A God of wrath seems somehow more fitting, given the state of our sin-ruined, suffering existence. The problem of evil weighs heavily in 12 Rules of Life. Peterson does not shy away from the reality of sin in the human heart and the suffering it causes. It can be a struggle to resists the nihilistic pull of hatred for the world and chose life. Hence the injunction of Rule 1 'Stand up straight with your shoulders back'. Don't be cowed by what life throws at you. Adopt a confident posture and begin a journey of self-improvement one step at a time. There is a lot of good practical wisdom to be found here. You can see why Peterson's message is proving so popular, particularly among men, who have long been told they are either dangerously 'toxic', or totally useless. It's great that millions of his readers are being taken to the Bible as a source of truth and insight, whether that's the story of Cain and Abel, or Jesus' teaching in the Sermon on the Mount. This is not to say that Peterson has grasped the gospel, however. In a coda at the end of 12 Rules for Life he quotes Matthew 6:33, "But seek ye first the kingdom of God, and his righteousness; and all these things shall be added unto you." He takes the text as a cue for us to pursue the highest priorities in life in terms of our self-development, career and relationships. Husbands should honour their wives as Mothers of God, fathers treat their sons as Sons of God, men should look out for their daughters, adult children care for their parents. Fine sentiments indeed. But this is not the gospel. Such is the nature of sin-ruined humanity that 12 Rules for Life isn't going to set us straight. Not even the Ten Commandments could do that. What we need isn't rules, but redemption. The Son of God had to be born of his virgin mother, suffer and die on the cross for ours sins, and be raised bodily from the grave. In Christ the believer has died to the old life under the reign of sin and been raised to a new one under the reign of grace. We need the power of the Holy Spirit to transform our lives from within that we may walk in the way of God's rules for life. The message of the Bible is not one of self-help, but grace. The great Puritan divine John Owen wrote pithily, 'A Socinian Christ for a Pelagian man'. In other words, a Pelagian message of self-improvement does not require God the Son to die for our sins. With the appropriate teaching and the aid of good examples, we can find the right path. The trouble is, as Owen knew, 'A Chalcedonian Christ is needed for an Augustinian man'. Peterson's conception of human nature might seem gloomy, but it is nowhere near gloomy enough. Human beings are made in the image of God. That is what gives us our value, dignity and moral responsibility. But we are fallen creatures, totally depraved and ruined by sin. The 'chaos' for which Peterson's Rules are the prescribed antidote has its roots in the fall of human beings in rebellion against their Creator; "sin is lawlessness [anomia]", 1 John 3:4. Augustine understood that sin warps our love, causing us to turn away from God and in upon ourselves. That way lies ruin and eternal loss. Only by grace can our track record of failure be forgiven. Only by grace can we be rightly ordered to love God and others above self. But the church does have something to learn from Jordan Peterson. He is unafraid to voice and defend his socially conservative views in public and will not allow the hostile media to misrepresent his position. All too often the church had buckled under pressure when it comes to upholding biblical marriage, and so on. Peterson works hard to apply his teachings to his readers and listeners lives in helpful ways. This has made a real difference to people who have acted upon his guidance. Preachers also need to 'state, illustrate and apply'. Yes, our imperatives must be based on the indicatives of the gospel, but transformational imperatives there must be. Let's not forget that the aim of preaching is to equip believers to play their roles in the drama of redemption in which evil is defeated and God's good purposes prevail. Peterson's success also shows that there is an audience out there for a message that addresses what it means to live a purposeful life in a broken world. The church should have something to say about that, right? It is a momentous thing for a man to feel that the Lord is calling him to gospel ministry. 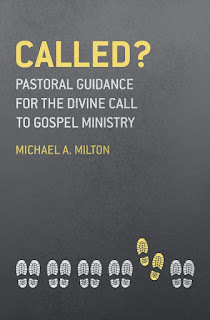 Michael A. Milton sets out to guide his readers though the various stages of responding to the Lord’s call. His work is full of practical hints and tips, often drawn from Milton’s own experience. A theology of calling is sketched out. Several chapters are devoted to choosing a seminary (may I recommend London Seminary) and the privileges and pitfalls of seminary life. Attention is given to the early phase of gospel service after training has been completed. Then there is the matter of persevering in the work over the long haul. While there's good stuff here for budding pastors, the work has some flaws that mar its usefulness. The present title is a reworking of previously published material with the aim of making it more relevant to the global church. For all that, it is still very much a product of American Presbyterianism. Talk of the role of denominations in recognising and training ministers and of ‘parish ministry’ will be alien to large swathes of Evangelicalism in the United Kingdom and beyond. The author’s attempts at humour don’t always translate well. In explaining a theology of calling to the ministry Milton refers to Old Testament prophets and New Testament apostles, but 1 Timothy 3 and Titus 1 on the appointment of elders/overseers barely get a look in. The book is a little ‘bitty’. Some chapters are based on sermons preached by the author. A letter and hymn penned by him are thrown in for good measure. This makes the work seem more like a selection of occasional writings than a book-length discussion of what it means to be called to gospel ministry. Of course, the blurbs at the front commend the book in glowing terms, "compelling", "marvellous", "a treasure". This is overly generous. Sorry to sound so critical, but the job of a reviewer is to give potential readers the benefit of his honest opinion. 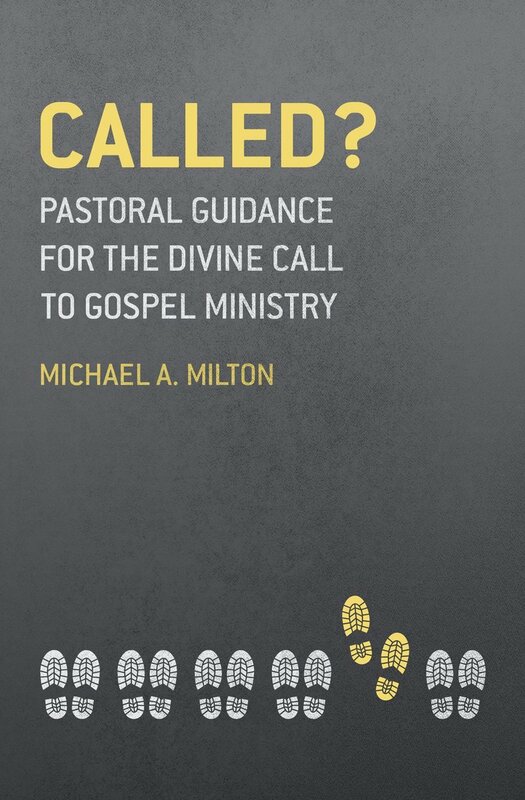 That said, anyone seeking to discern whether the Lord may be calling them to gospel ministry will derive some benefit from Milton’s down-to-earth pastoral guidance. Men aspiring to pastoral ministry should also take a look at Lectures to My Students by C. H. Spurgeon, Preaching and Preachers by D. M. Lloyd-Jones, and Preaching Pure and Simple by Stuart Olyott. Standing at the threshold of a new year is exciting and daunting for the same reason. None of us has got a clue what’s going to happen in the next twelve months. If we knew exactly what lay ahead of us, life would lack surprises. Where would be the fun in that? That we don’t know what lies ahead of us means that we may well be in for some nasty shocks. That’s the daunting bit. 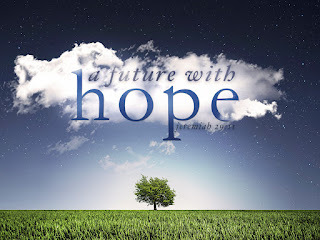 For some fear of the future becomes so crippling that they can’t get on with life. Telling such people, ‘Don’t worry, it might never happen’ won’t cut it, because it might. What then? But it really is no use worrying. It changes nothing, only our ability to cope with the things that life has in store for us. Someone once said, “Worrying is carrying tomorrow's load with today's strength - carrying two days at once. It is moving into tomorrow ahead of time. Worrying doesn't empty tomorrow of its sorrow, it empties today of its strength.” That someone was Corrie ten Boon (1892-1983). We might think that her sentiments are fine if a person has had a carefree life. That certainly wasn’t the case with Corrie. Her father gave Jewish families shelter during the German occupation of Holland in World War Two. Their activities were discovered by the Gestapo. Corrie’s father died after nine days imprisonment in Scheveningen Prison. Corrie and her sister Betsie were sent to Ravensbrück concentration camp, where Betsie passed away. Back in November we paused to remember the end of World War One. On the eve of that conflict UK foreign secretary Sir Edward Grey remarked, ‘The lamps are going out all over Europe, we shall not see them lit again in our lifetime’. With that sentiment in mind, the dry moat of the Tower of London was lit up with 10,000 lamps in the nights leading up to Remembrance Sunday. The installation was aptly named, ‘Beyond the Deepening Shadow’. The terrible events of 1914-18 and subsequent conflicts remind us that this world can be a dark place, where sorrow and suffering reigns. God can sometimes seem remote from all this. What does he know of heartache and pain? But the message of Christmas tells us that God entered this world in the person of his Son, Jesus Christ. In one of his books C. S. Lewis made this remarkable statement: “Once in our world, a Stable had something in it that was bigger than our whole world.” He was talking about God in the flesh, Jesus Christ. The One who was small enough to be laid in a manger, an animal’s feeding trough, was at the same time big enough to hold the whole world in his hands. In Jesus, God became human to bring human beings back to God. The afternoon service will be interactive, suitable for any age. 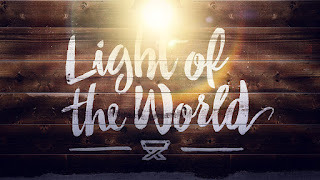 We will be looking at why Jesus Christ came in to the world. Followed by a festive spread. See the Providence & Ebenezer Baptist Churches website for more info.